In August 2011, Daniel Mollino was in Teaneck, NJ, making repairs to some overhead lines for the cable company he worked for when he fell about 20 feet, suffering a traumatic brain injury. He was rushed to Hackensack University Medical Center, his life in danger. Miraculously, he survived, but with some long-term effects from the injury such as double vision, loss of hearing in his right ear and continuous pain. 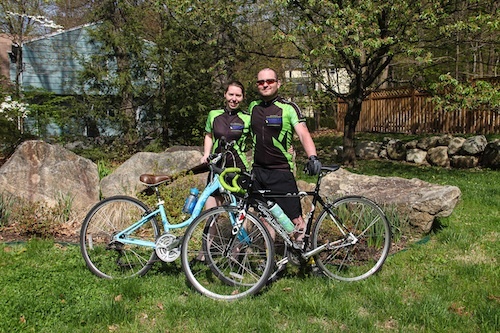 That, however, won’t prevent Daniel and his wife, Amber, both residents of Ringwood, NJ, from riding the 25-mile cycle course at Miles for Matheny on June 1. Matheny is special to the Mollinos because Amber’s brother, Chet Cheesman, lives in a Matheny community residence in Franklin Township, NJ, and has been a Matheny resident for more than 30 years. As a regular cyclist, Daniel has discovered a product called Elete, a liquid additive that athletes add to their water bottles to replenish electrolytes in the body. He has arranged for the company to provide 500 individual Elete dispensers for the cyclists and runners at Miles for Matheny. Thank you, Daniel! 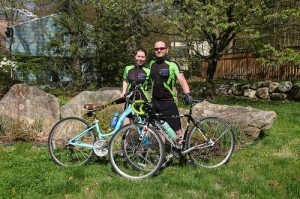 Peapack-Gladstone Bank is the cycling sponsor at Miles for Matheny. Other major sponsors are: Poses Family Foundation; the Golub family; Partlow Insurance; Porzio, Bromberg & Newman PC Attorneys at Law; BP Fueling Communities; Delta Dental of New Jersey, Inc.; WCBS-TV and WCBS Newsradio 880. 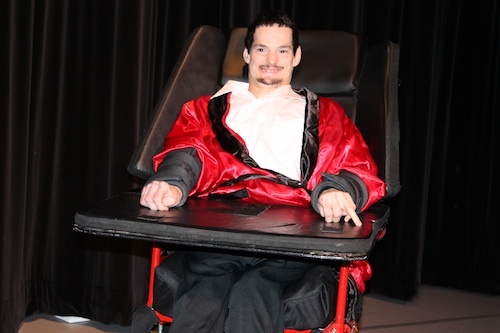 All funds raised help support the Matheny Center of Medicine and Dentistry, where more than 800 of New Jersey’s kids, teens and adults with developmental and intellectual disabilities have access to the best medical, dental and therapy care possible. In addition to five Cycling courses, activities at Miles for Matheny include the Lu Huggins Wheelchair Walk, a USATF-certified 5K race, a Kids Fun Run and the “Breakfast of Champions” provided by The Friends of Matheny. For more information or to register, log onto www.milesformatheny.org or call (908) 234-0011, ext. 260. To support Daniel and Amber’s fundraising team, TBI to Victory, visit www.milesformatheny.org/TBI_to_Victory. Chet Cheesman performing at Full Circle, the annual celebration of Matheny’s Arts Access Program. This entry was posted in Uncategorized and tagged Cheesman, Miles for Matheny, Mollino. Bookmark the permalink.